Avila's warm colors, soft lighting, windows and oil paintings found on the streets of Madrid set the mood. Enjoy the energy at the island bar and the activity of the open kitchen. Or have a more mellow experience in the cozy lounge and dining rooms. 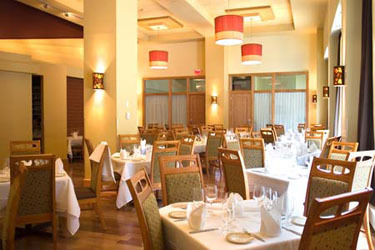 Avila has four private dining rooms that are available for special events and private gatherings. Avila also offers off-site catering and corporate delivery. Avila is open every day serving lunch, dinner, a late night menu and Sunday brunch.